A lovely leaf and floral printed design brings a fresh tropical look to your room. 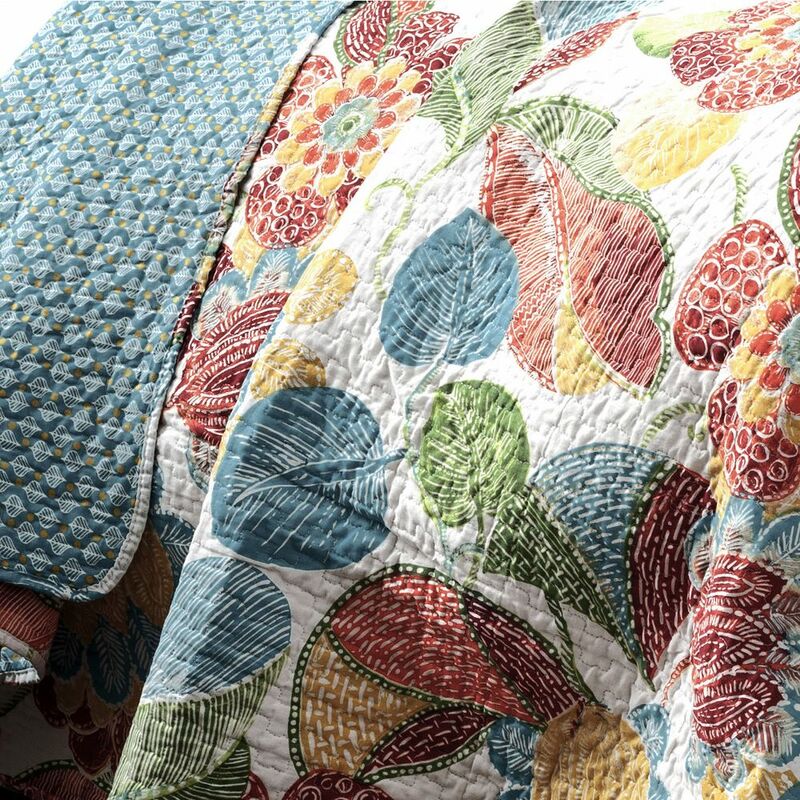 Large palms & florals on the front reverses to a turquoise geometric pattern. 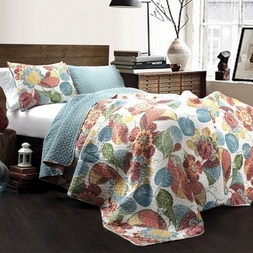 This 100% cotton-cover lightweight quilt is great for all seasons.